VPS Forex for Forex MT4 Traders from WINNERvps.com, trusted and stable with the best prices ever! A Virtual Private Server from WINNERvps (VPS Forex) is a dedicated XEN VPS server located in a high specification data center, your VPS is built to never fail you � to allow automated forex traders the peace of mind knowing their MT4 platform will always be on, taking and closing trades, as it should. The WINNERvps Virtual Private Server runs on high end servers, has multiple networks feeding it, has no single point of hardware failure so its reliable and secure for Forex Trading, if you combine that with the reduction in latency achieved by using a VPS, it is a must for people using EA�s to trade the Forex markets. 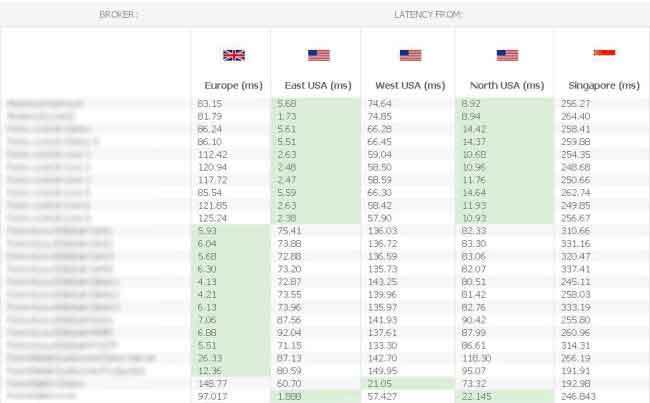 The lower your latency is the more chance you have of getting filled at the best price and more chance of making money on the specific trade. Traders benefit from the same technology only normally found in major data centers. Traders use a Remote Desktop client to easily access the virtual windows environment. Programs run on the hosted server � inside the virtual environment. This allows the trader to close the remote desktop client and even shut down their computer, while leaving applications running normally inside the virtual environment. WinnerVPS stands a neutral side, which mean, we are not a part of any broker company, no rules or no boundaries could possibly be used as your strategy in your trading system, we online provide a quality server to support your trading strategy for you to be a Winner. Latency is the amount of time that it takes for a signal to be sent from your trading platform, received by your broker, and responded to. In terms of latency, typical household and office internet connections can provide only mediocre connection quality. Our VPS servers, colocated in financial data centers, deliver low latency and fast execution speed for forex trading. How long does it take usually to process my order (until my VPS come up and ready to be accessed)? We do have an instant activation for every order. All processes are done automatically. You will receive 2 (two) emails sent automatically: Welcome Email (which contains your IP) and Reboot Notification (whenever your VPS is online). Please note for Indonesian Bank Transfer: Please make the payment before 21.00 (GMT+7) as the bank will refuse to accept our �Automatic Transaction Checking� during those hours, and please include your INVOICE-NUMBER in every bank transfer message. What does VPS stand and use for? VPS stand for Virtual Private Server. 90% of our customers are using the Windows VPS for hosting their robot of forex trading, known as Expert Advisor. Others use for SEO, PPC, Camfrog, .NET, Application Hosted, etc. Bank BCA Indonesia, Bank Mandiri Indonesia, Paypal, VISA/MASTERCARD. Amazing. How could you offer such crazy low prices for us? We have a healthy balance sheet and a good PL (Profit and Loss statement). We are a private company, and clean for any debts. We are an efficient and effective organization. We keep everything low, stay humble, and option for the other success. We believe by keeping the positives way, God may award us the rewards ;). Nothing more or less could I testify. WINNERvps is tremendous. Superb service over low end price. I've been trading as a Winner using Winnervps. Great job, Harry! After turning upside down,falling and moving out here and there with so many Hosting Providers,migrating from one VPS to others. Finally,I found out WINNERVPS as my savior for the life of my Webs. All of my webs were awakening from the death,and ready to be fully online thereafter. WINNERVPS' support is 'TOP MARKOTOP',outstanding,superb.100% two (maybe four) thumbs up! We are a fresh client of WinnerVPS.We'd been trying several other VPS providers,even with a number 1 slogan in Indonesia,but kept facing disappointment over and over again,through bad and incompetence services and lack of VPS capability,as promised. At last,we decided to move on,and found out WinnerVPS.Perfect facilities,over comprehensive understanding of what we need,armoured by a flawless hardware,proactive practises and responsive services.